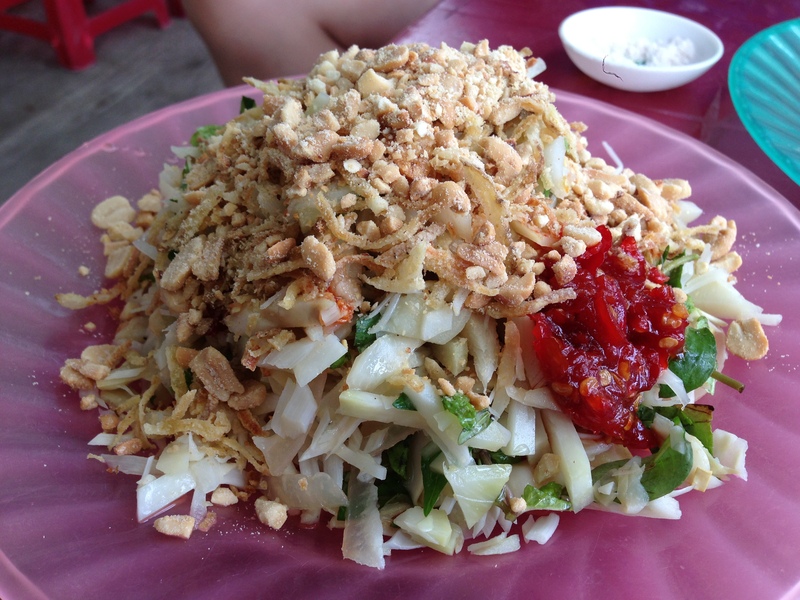 Mixed young jackfruit salad - Thuy's Shop is located near Tran Thi Ly Bridge in Danang. Besides the famous mixed young jackfruit salad, this shop also offers other snacks like yogurt, snails, etc. Why Mixed young jackfruit salad - Thuy's Shop is special ? 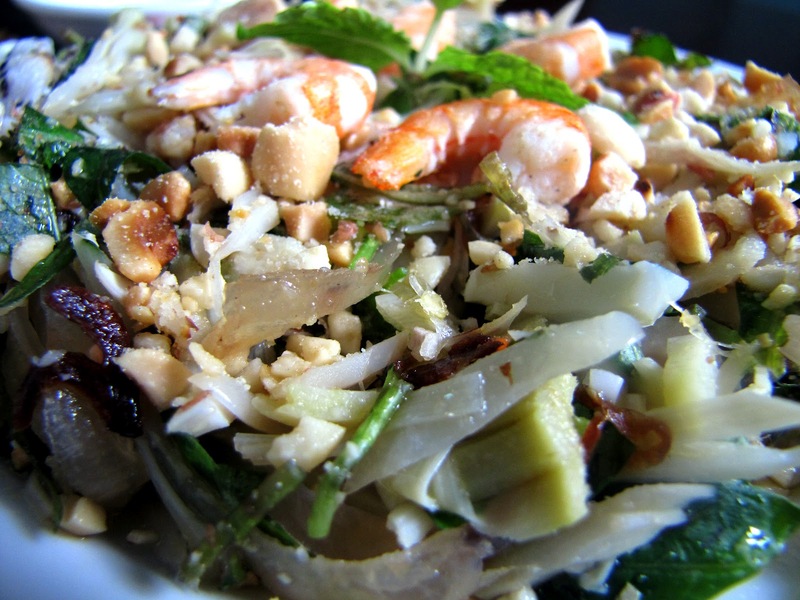 Young jackfruit salad, or also known as "Mit tron", is simply the young jackfruit boiled and torn into small thin strings then mixed well with bacon, shrimps or thin small strings of pork skin, fish sauce, Vietnamese mint, basil and topped with roasted peanuts, fried shallots. It attracts people by its charming aroma and eye-catching color. People often eat young jackfruit salad with sesame rice cracker. Break the rice cracker into small pieces and use them, instead of a spoon to eat the salad. The crispy rice cracker and pork skin mingled with sweetness of young jackfruit and aromatic peanut, fried shallot… make this dish irresistible.